Obituary for Mr. Michael F. Alexander | Hinchliff-Pearson-West, Inc.
Michael Frank Alexander, 55, of Bartonville, formerly of Galesburg, died suddenly at 4:59 a.m. Thursday, March 29, 2018 in the emergency room of Unity Point Health Pekin. He was born April 10, 1962, in Galesburg, the son of Leonard D. and Janet L. (Lawson) Alexander. He is survived by his sister, Julie (and Susan Barron) Alexander of Springfield; his beloved dog, Sandy, an aunt and several cousins, his best friend and co-worker of over 35 years, Jeff Riebel of Peoria and his family including, wife, Cheryl, daughters, Jordanna and Mackenzie, mother, Verta, and brothers, Jim, John “Butch”(Kathy), Joe (Sue), and Jerry (Dario) Riebel. He was preceded in death by his parents. Michael was raised and educated in Galesburg, where he graduated from Galesburg High School in 1980. After graduation, he entered the carpenter apprenticeship program. 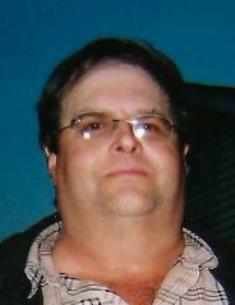 He was a journeyman carpenter, working for Heinz Construction in Peoria and Vanguard Contractors in Pekin. He was baptized into the Covenant Church in Galesburg. Michael enjoyed camping, boating, fishing, and remodeling his home. Michael received a kidney transplant this past January after 6 ½ years on a waiting list. While waiting for a transplant, Michael grew close with several patients and staff at Fresenius Kidney Care. In death, he was a cornea and tissue donor. Visitation will be 10 to 11 a.m. Wednesday, April 4, 2018 at Hinchliff-Pearson-West Galesburg Chapel. Funeral service will follow at 11 a.m. with Rev. Jim Ecklund officiating. Burial will be in Oak Lawn Memorial Gardens, next to his parents. Memorial contributions may be made to the Central Illinois Chapter of the PKD Foundation. Online condolences may be made at www.h-p-w.com.